Do you ever wonder how you can pass an exam easily? Most of the time even after you’ve studied really hard. You still can’t shake this feeling that you’ll fail a really hard exam. After all, no one can be certain of anything, right? Now imagine that exam contains a bunch of terms only certain people can remember. There are drug names, treatments, symptoms and other medical terms. And if you didn’t memorize any of them, it’s almost certain you’ll fail. That’s what the NREMT certification exam is like. It will test your knowledge and skills using cognitive and practical exams. The cognitive exam uses Computer Adaptive Testing. It will test on what you’ve learned during your EMT training. It employs a type of testing where the questions adapts to what you know based on the previous questions. If you got the previous question wrong it will give you an easier question next. If you get a series of questions right, the next series of questions will be at a higher level. It will continue until you get to your highest level. When the test is over, you’ll know your level of competency in each areas tested. The result will also indicate what areas you need to study if you fail the test. The questions for each candidate will be different and the lenght of the exam will vary depending on the candidate’s competency level. To pass you need to meet the standard competency level where you can provide a safe and effective emergency medical care. The practical exam is done onsite. You’ll need to verbalize what you’re doing. You should use the correct terminology if you want to pass. …which you should have practiced thouroughly. Study guides are useful in preparing for an exam. Especially exams with complex concepts or content areas like EMT certification exams. The information is summarized thus reducing the amount of information you need to read. If you don’t have the luxury to sit around and read a book. You can use an EMT study guide in audio format. You can easily study anywhere you like whether at home or while travelling. It’s also a good supplement to your other study materials. It’s also convenient if the study guide comes with practice tests in software format. You can use the questions to practice and get comfortable with the testing format. It’s important that the study guide contains all the content areas covered and other vital areas in the EMT exam. It should also have both questions and scenarios you can use to practice. You can use EMT study guides to build and maintain what you’ve learned. Use it to quiz yourself and others with challenging questions. You can study in groups to help you stay focused. It’s also good to have study partners if you have flashcards. Practice scenarios and procedures with each other. Many publishers print their own study guide to accompany their textbooks. And there are other publishers who print their own standalone study guide for EMT students. With all that, you’re not limited to them. You can create your own study guide. This way you can also improve your memory by using your own words and organizing in ways meaningful to you. These are some of EMT study guides you can get commercially. Use them to get you started. EMT-Basic Review Manual for National Certification – This will prepare and evaluate what you’ve learned in your EMT Training program. It includes practice questions, step-by-step walkthrough of skills, commonly made errors, sample scenarios, and winning test-taking tips. Kaplan’s EMT Basic Exam – Kaplan EMT-Basic Exam provides test-takers with the best review and test-taking strategies for this complex exam, as well as a full-length practice test for self-evaluation. CliffsNotes EMT-Basic Exam Cram Plan – Make the most of you time left using a cram plan. 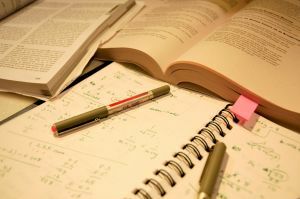 Use the time you have left to schedule your study and focus according to your unique timeline. EMT-Basic – Interactive Flashcards Book for EMT – REA’s Flashcard book for the EMT-Basic exam helps students check their test-readiness before taking this crucial test. It’s a convenient way to practice answering questions and scenarios to evaluate. Also includes a CD that contains quizzes with explanation to answers. SUCCESS! for the EMT-Basic – This will help you pass your certification exam with a comprehensive collection of practice exams, test taking tips, and student hints. EMT-B National Standards Self-Test – This is a self test review format book designed to pin-point areas where you need to study further. There’s also a section to help you prepare for the NREMT certification exam. Aehlert’s EMT–Basic Study Guide – This provides you with what you need to know. This can be an excellent addition to your study materials and a perfect companion to reviewing. 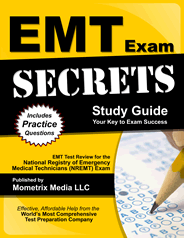 EMT Basic Exam Secrets – Study for your EMT certification using this step by step study guide. This gives you the essential skills and specific content areas that are critical for you to know in the EMT exam. EMT-Basic Study Guide eBook – Downloadable quick study guide with condensed information. Paramedic/EMT StudyStacks – This site contains free user created flashcards which can be shared. SmartMedic EMS Quiz – A free EMS quiz site designed for prehospital care providers. Study Guide, Practice Tests and NREMT Simulation Exam – This site contains thousands NREMT style practice questions with new questions and scenarios added weekly. You’ll have to subscribe monthly to access the site. If you don’t pass you’ll get extended subscription for free. If you you know of other EMT study guides, let me know and I’ll add them here.